Firstly 2 cards flew out as I started to shuffle. Then I drew the next 3 cards and was guided to draw 2 more. I love that my intuition guides, me so that each month I discover a new way to read the cards. These are the pivot points to remind us that if we keep holding on to what no longer serves us. This is a huge message for me as I still have my studio and computer in a big need of much to let go of. The second card FOLLOW YOUR HEART is the reminder to listen to and follow the whispers of your heart, not to ignore those nudges you hear, see and feel. It is tapping into and lighting the fire of our passion that will keep us moving forward in March, allowing transformation to be. CONFIDENCE where we step into our power and allow imperfection to be our friend, yes the STRENGTH card calls for us to come out of the shadows and dance. The next 3 days make sure your vision is clear. Spend time and IMAGINE your life as you really really desire it. Are you crystal clear on this? I spent time in February using my clarity through contrast process to get crystal clear. I will this week make a vision board. Are Your Blocking Your Own Abundance? The importance of releasing abundance blocks is, obviously, that this is essential for allowing abundance to flow. I recognise that one of my abundance blocks right now is hanging onto artworks that keep telling myself I am going to to sell and share with others. I have paintings and textile art that I procrastinate about on putting online, on etsy and even onto my website. I decided that it was time for a journaling session. Why I am blocking my abundance? Why Am I Blocking My Abundance? Well it’s easier to find another reason rather than going within and facing the truth!. Take some time today and list what’s stopping you from receiving what you desire and deserve. Then read them out and turn the what’s blocking you into taking positive action now. Now JUST BE: meditate ask your guides if there is there anything else that has to go on this list and add it. Again in order to open your heart, really listen and follow the guidance you hear, feel and/or see. Then release the blocks, feeling the shift, you will be free to step on the path to PROSPERITY. This is a version of my clarity through contrast exercise I use in my client clarity sessions. Amazing how so often I forget to use the tools that others have so much success with. Here is my list- interesting that I made the contrast column wider than the clarity one in my journal. I NOW look within and share my art and my stories of success. Cheryl shared with me a process to release this block and I am finally about to act on it! Then each day choose one piece and share it on facebook and etsy as well as on my website. A way of releasing, letting it go to allow the abundance to flow. So here is the first piece I am putting up here on the website. Art Quilt: Silk and Cotton Painted Printed and digital imagery, hand and machine pieced. Some of the fabrics have been hand coloured and printed. I used stamps and seals I bought in China. The digital Imagery is taken from images I took at the Great Wall, interesting textures on walls I found in and around Beijing. This can be hung on a wall: it has a pocket at the top for a rod. You can pin it to with map pins. Some people frame my quilts so it looks like a picture.. I made this quilts after a trip to China. I love travel and when travelling I am always on the lookout for images and textures that I might be able to use in my artwork. If this speaks to your heart and you would love to own it please email me or comment below. Are you on the path to love? So how does my question relate to abundance? Abundance comes when we embrace the love that is within. Sometimes we don’t even feel we deserve it or expect it! Yet the more I love myself , the more I open my heart to love and allow the abundance to flow. This might be buried away in your subconscious, you might not even be aware of how this is limiting your abundance. Look around you and see the abundance you already have. I sometimes make a small booklet from one sheet of paper that I keep in my wallet. When you have your journal ready start to note down any instances of abundance that you have attracted into you life. You can do this as it occurs or at night before you go to sleep. This is usually when I do mine along with my gratitude journal. Today I observed 5 ( or more) things that show me proof of the abundance I have in my life. I had a free coaching call via skype. A friend shared with me how I had helped her become calm and she sent me a thank you email. I won $10 on a scratchie I bought today. Happy dance time email from Paypal saying you have got money!- I love these. This brings more love through as we focus on the positives in our life. Get You Daily Heart Opening to love Oracle cards here. Today I was called to draw a card first from one of my favorite decks, that I attracted several years ago at the Tweed Hospital fete! Since I launched my own deck I rarely use The Wisdom of the Hidden Realms from Collete Baron-Reid. I wonder if this is the sign I need to complete the Inner Wisdom deck? Gaia’s Garden: fruition, abundance, reaping what you sow. This is a beautiful start to this magical month of April. Now for the reading for the month from the Heart Whisper Oracle Deck. How will you embrace your abundant self as you start this new month? Meditate on this question today and see what flows from your heart. What area of your life do you want to create more abundance in, in April? 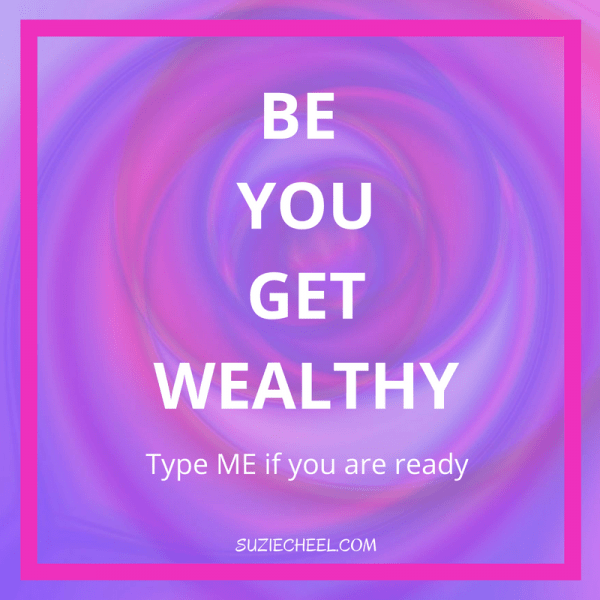 What’s your focus on abundance going to be? I meditated first before I drew the cards and this is the message that’s come through for the whole month. Yes take ME TIME each day. This is so important for you to create abundance first from within your own heart That means taking 10 + minutes to meditate and then journal on your intentions. your BOLD next steps so you do step up and shine this month. This leads you on your path to PROSPERITY where you will manifest the abundance you desire. Does this reading speak to your heart? Are you looking to create more abundance into your life in April? What area of abundance will you choose to attract more abundance in in April? Or something that didn’t spring to my mind.